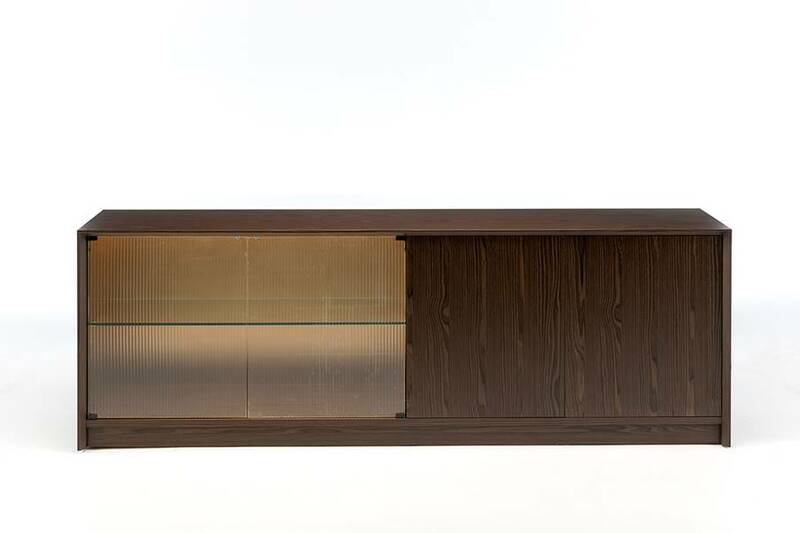 The Mason cabinet offers many subtle details. For example, the narrow-fluted glass doors with internal Classy Bronze finish. Inside feathers LED lighting which is remote activated. The glass detail cannot be amended in size, however the wooden frame can be.